The Maldives is known for its pristine beaches, reef-ringed islands, and luxurious bungalows on water, where lucky guests observe a spectacular underwater world. I’m sure visiting an island is on the bucket list of most avid travelers, and where better than a country which is made up completely of islands. Like any other vacation, the excitement starts right from the planning stage. I pre-planned what I would wear, what I will do and visualized what new things I might be able to see. I spent about a week in this exotic country and every day I came across something new and interesting. All the gorgeous pictures we’ve seen are very real. While landing at Velana International Airport in Male, the Capital city, we begin to see nothing but the ocean in different shades of green and blue. Soon as you leave the airport, you find yourself on a speed boat whooshing away on the great Indian Ocean and come across multiple islands and lagoons. If you’re lucky enough you may spot flying fish popping out of the deep blue sea. The Maldives has about 1200 gem like Islands and I found myself on an Island named Hembadhoo Island, which is about 35km north of Male. 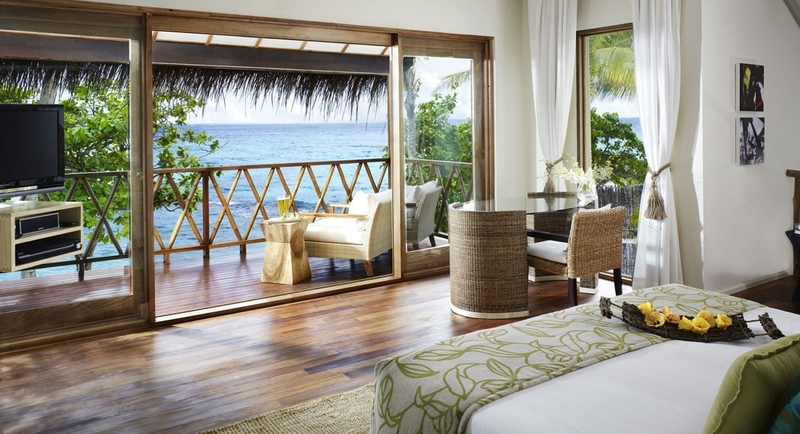 Like many islands in the Maldives, this island is home to a resort, Vivanta by Taj – Coral Reef. 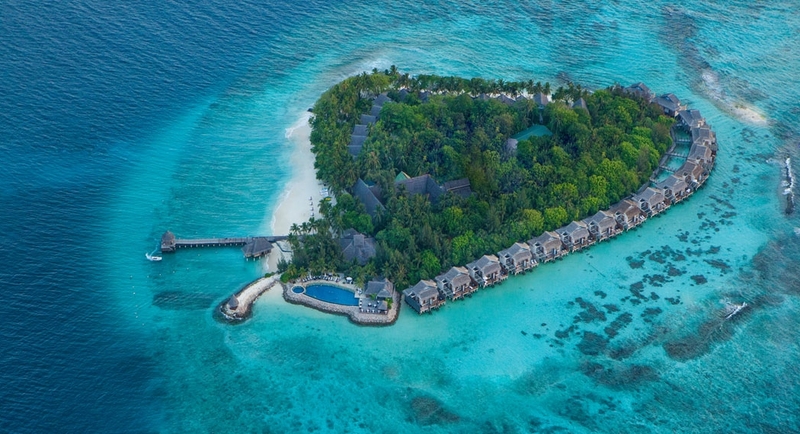 This luxurious resort is a world by itself just as the many other private island resorts around the Maldives. 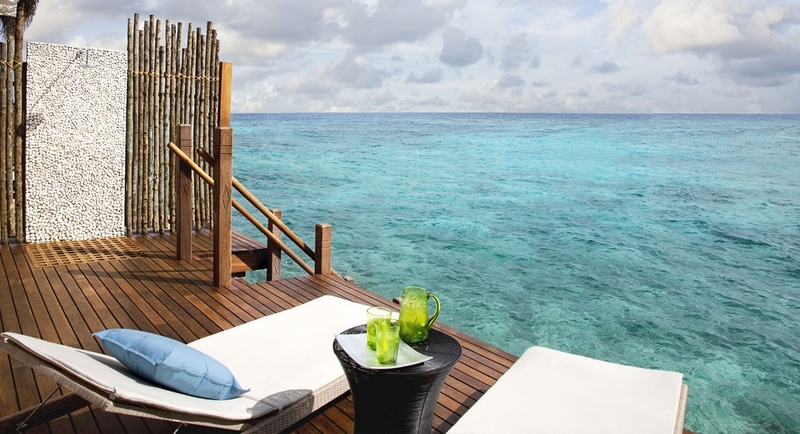 It is easy to fall in love with the Maldives and it sure is a once in a life time experience. The fact that the Maldives lies on the equator makes it hot and humid throughout the year, but that’s no reason to worry, there are plenty of places to take a dip and get refreshed. Male is just about 5.8 square kilometers, which means you can explore this city in about a day. 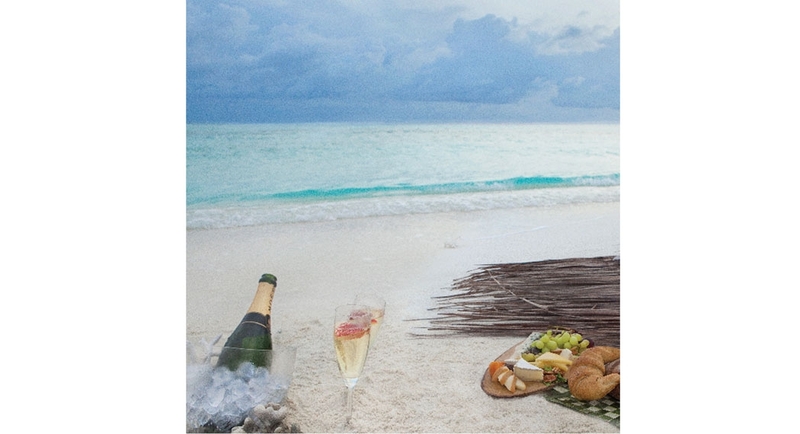 Many honeymooners, vacationers and explorers prefer to stay at various islands outside the city. Maldives is perfect for almost all types of vacationers as there’s plenty to choose from and a wide variety of resorts at that. Some islands are for party lovers, some for those who seek peace and relaxation while others are ideal for the romantically inclined. Talk about food and most resorts have unlimited choices when it comes to cuisine. You name it and you get it. Everyone also assumes that the Maldives will have plenty of exotic sea food, because it is a tropical island surrounded by an ocean. However, the reality is that most of the food is imported from various countries like Thailand, Australia and India. Surprisingly, in most of the islands, fishing is banned. The beautiful aquatic creatures are an essential part of the country’s tourist attraction. You can spend hours looking at the turquoise water with rainbow colored fish and amazingly unique sea creatures. Coming from a place like Nepal, the first few days in the Maldives feels like a dream. Zero air pollution, waking up to the sound of waves, watching the sun set at the edge of an infinite ocean, white sandy beaches, the Maldives has it all. Things that you’ve only seen in the movies, you experience it here. With beautiful water villas where the back door of your room leads to the ocean, you experience luxury in a whole different level. A question that goes around in everybody’s head is whether these islands will be around in the next 50 years. So, if you’ve never thought of visiting a place like this, you should make sure you have it in your bucket list and start planning while it is still around. The Maldives is the flattest country in the world. The world’s first underwater cabinet meeting was held on the island in 2009. The meeting was called by President Mohamed Nasheed, in order to draw attention to the threat posed by climate change. The Maldives stretches over 90,000 sq. km and 99% of it is water. Literacy rate in the Maldives is 98%. The smallest Muslim country in the world is the Maldives.